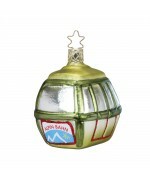 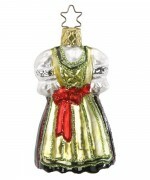 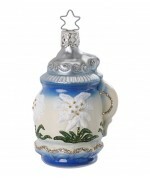 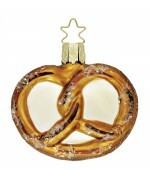 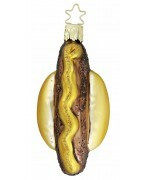 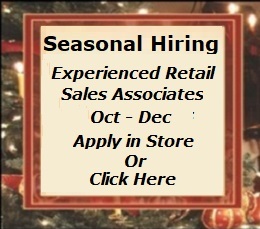 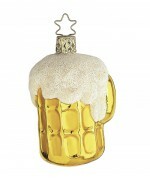 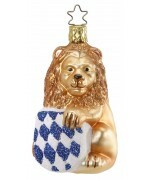 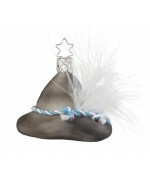 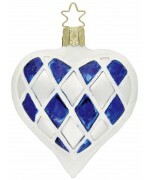 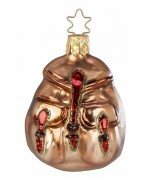 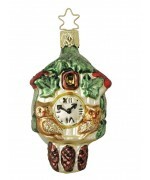 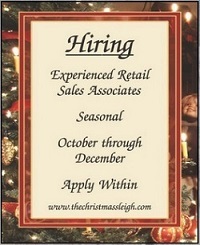 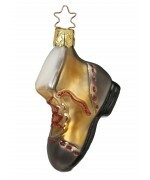 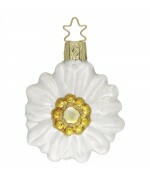 This year we expand our selection of Inge-Glas ornaments with a carefully selected array of Oktoberfest decorations. 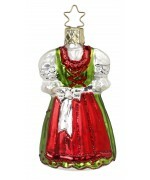 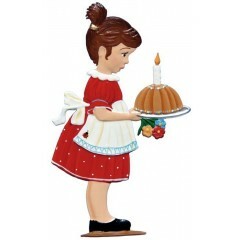 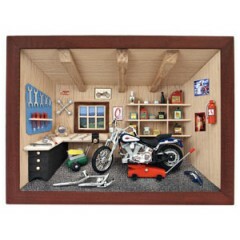 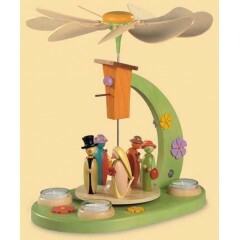 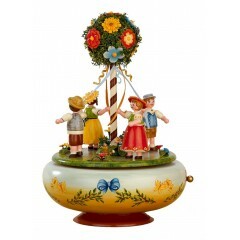 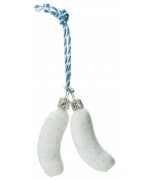 Delightful and fun, Inge-Glas is one of the leading designers and manufacturers of this age old German craft. 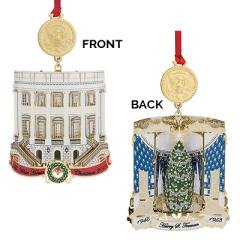 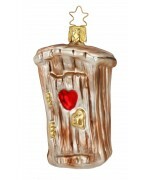 Carefully hand painted with tasteful touches of glitter and detail, it's easy to see why this is one of our customers' favorite line of ornaments. 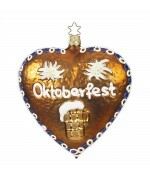 Bright and colorful, just like Oktoberfest in Munich, these themed ornaments are sure to bring smiles and joy to your own biergarten or bar this fall season. 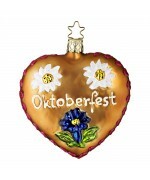 $82 Size: Edelweiss - 2" x 2" Dirndl - 1.75" x 2.75" Lederhosen - 1.5" x 2.5" The perfect g..
$18 Size: 1.75" W x 3" H Another delicious addition to the Oktoberfest Collection, here we ha..
$18 Size: 2.5" x 1.25" No Oktoberfest outfit is complete without a traditional Bavarian..
$18 Size: 2.5" length If you've ever been to Oktoberfest you're probably familiar with the tr..
$20 Size: 2" W x 1.75" H The cow bell has become an iconic symbol in German culture not o..
$16 Size: 2.5" W x 1.25" H This pretzel looks just like the real thing, but watch out it's ma..
$26 Size: 3" x 3" Gingerbread can easily be called a German staple anytime of year - yo..
$30 Size: 2" W x 2.75" H This handsome pair of lederhosen is complete with suspenders and ede..
$30 Size: 1.75" W x 2.75" H Have you ever seen a cuter drindl? 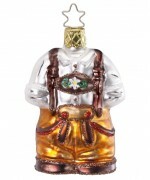 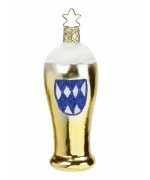 Complete with bodice and bow w..
$20 Size: 4.5" x 4.5" Nothing says Oktoberfest like a beer stein filled to the brim wit..
$44 Size: 2" W x 4" H Inge-Glas brings to life the Münchner Kindl or as we would say in Engli..
$42 Size: 4.5" x 4.5" Gingerbread can easily be called a German staple anytime of year ..
$24 Size: 2" W x 2.25" H No German outfit is complete without a tirolian or tyrolean backpack..
$20 Size: 2.5" L x 1.25" H The traveling or hiking boot is a staple in any German man's..
$26 Size: 4.5" x 4.5" Gingerbread can easily be called a German staple anytime of year ..
$24 Size: 2.6" tall A fresh take on the ever popular Bavarian Backpack, a new color scheme ma..
$22 Size: 3.8" tall A simple ornament that is sure to delight any and all beer fans. 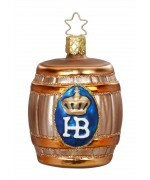 This car..
$22 Size: 3.2" tall A simple and classic ornament, this loving heart features the official Ba..
$38 Size: 3.8" tall A truly stunning ornament, this unique take on the Bavarian Coat of Arms&..
$34 Size: 3" tall Inspired by the Bavarian Alps, this classic gondola is sure to take you on ..
$30 Size: 3" tall Nothing says Oktoberfest like a fresh pint of Hofbrauhaus beer and now you ..
$30 Size: 3.6" tall A new variation on our popular "Holiday Heritage", this fresh color ..
$18 Size: 2.8" tall You can't go to Oktoberfest and come home without a jar of hot mustard. 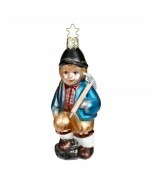 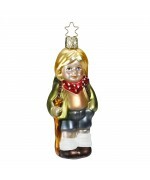 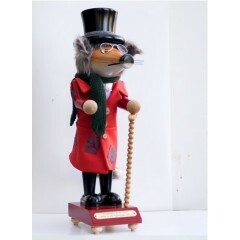 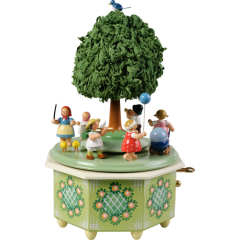 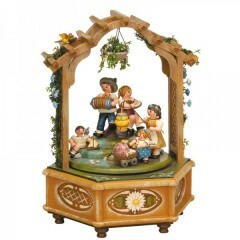 T..
$62 Size: 4.6" tall A mountain climber like no other this lil guy is fully prepared with his ..
$26 Size: 3.6" tall A staple at every Oktoberfest, this classic take on an outhouse is sure t..
$62 Size: 4.4" tall This lovingly detailed ornament depicts a young Bavarian boy ready to hea..
$38 Size: 2" W x 3" H It's safe to say the Bavarian Beer Stein is one of our favorites from t..
$30 Size: 1.75" W x 2.75" H Styled after the traditional cuckoo clocks of the Black Forest, a..
$14 Size: 2" x 2" You don't have to climb the Alps to have your own Edelweiss flower. 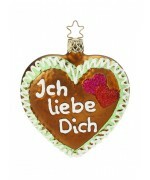 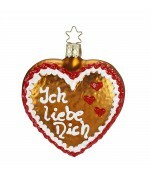 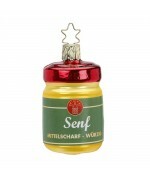 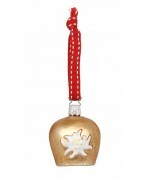 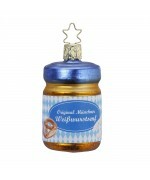 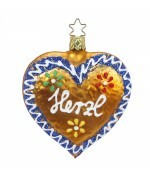 This sm..
$28 Size: 3" x 3" Gingerbread can easily be called a German staple anytime of year - yo..